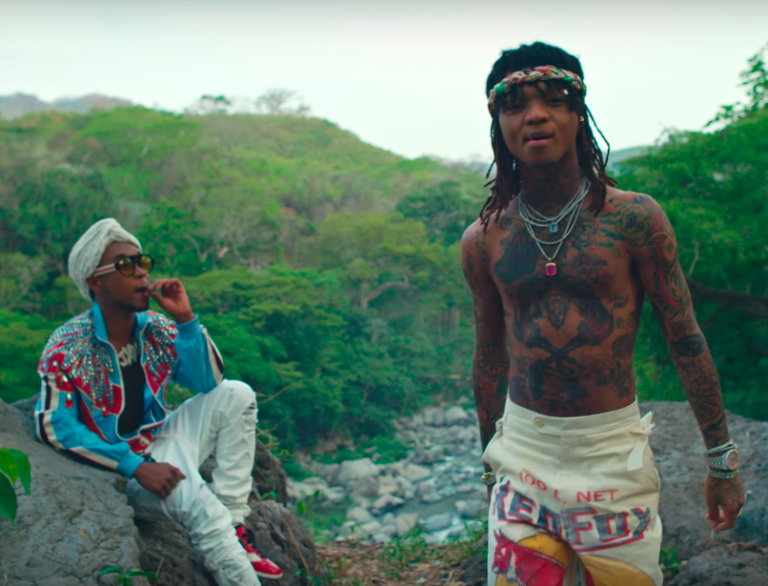 Home / Rae Sremmurd / Slim Jxmmi / Swae Lee / VIDEOS / Video: Swae Lee Featuring Slim Jxmmi "Guatemala"
Video: Swae Lee Featuring Slim Jxmmi "Guatemala"
Rae Sremmurd takes to the streets of Guatemala to shoot a video for their Sremmlife 3 track. Produced by Mike Will Made-It, Guatemala is off Swae Lee's solo debut "Swaecation" which can be found on the duo's SR3MM album released in April. The video was shot a few days before the island was hit with a volcanic eruption. "The video for Guatemala was shot a month before the country was hit by a devastating eruption," reads the opening message. "SR3MM" comprising of Swae Lee's (Swaecation), Slim Jxmmi's (Jxmtroduction) and a Rae Sremmurd album features guests such as Pharrell Williams, Future, Young Thug, Travis Scott and The Weeknd.